Podger Spanner is a power tool, in the form of a shot bar, which is tapered to incorporate a wrench at one end. These Podger Spanners are mostly used for straightening scaffolding and steel scenery. 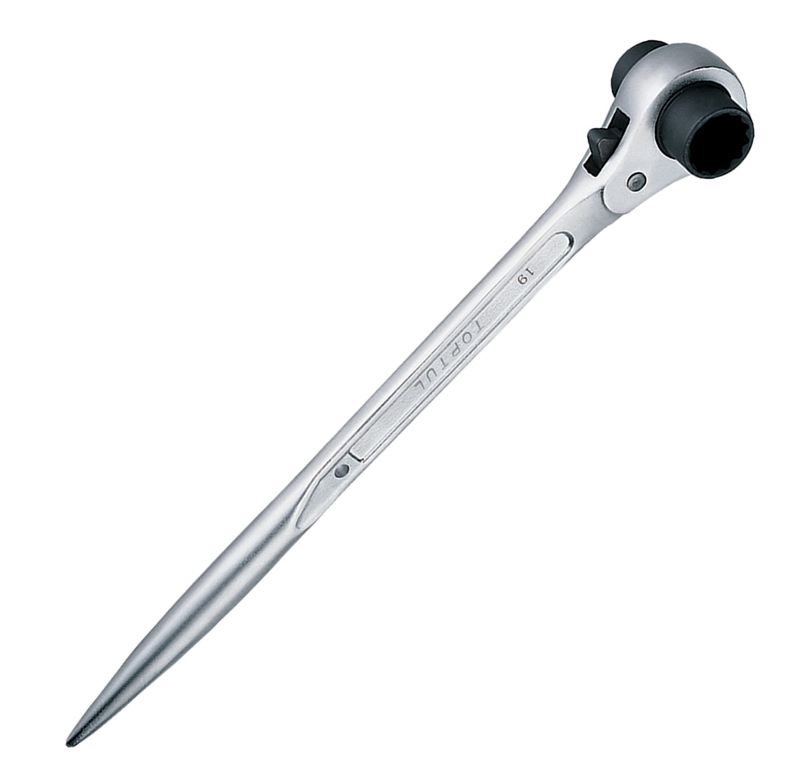 These spanners have pointed end, which helps in proper alignment in respect to the bolt holes. Podger is a tool in the form of a short bar, usually tapered and often incorporating a wrench at one end. Used in a variety of tightening jobs, Podgers can be easily fit with reversible ratchet sockets. If you want to own these handy Podger Spanners online, and then visit Audel for the best deals in this regard. Audel has outshone other online competitors for providing the most competitive deals on Podger Spanners and accessories. Being an established webstore, Audel deals in a variety of Podger Spanners and procures the best-sellers from branded tooling giants. Our array of Podger Spanners ensures optimum performance without being overtly priced. At Audel, you can avail these spanners in different specifications such as all metric and inch sizes up to 9 1/4" (230 mm) A/F to suit your jobsite requirements. At Audel, you get the assurance of the best ecommerce practices being followed to give you a 100% secure and easier shopping experience.